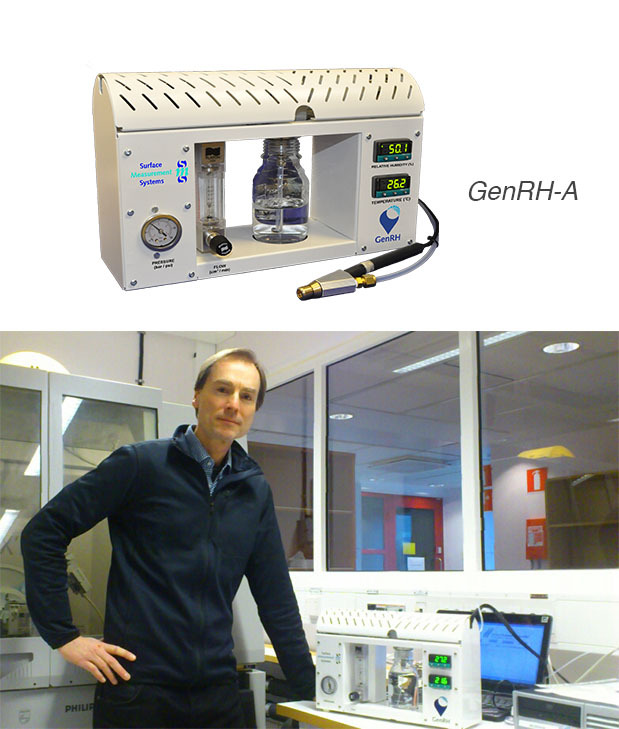 Adroit Science AB, Sweden, has installed a GenRH-A to enable investigations of structural changes in solid pharmaceutical substances and excipients versus relative humidity. The RH generator from SMS is connected to a humidity chamber that in turn is mounted on a state of the art X-ray powder diffractometer. 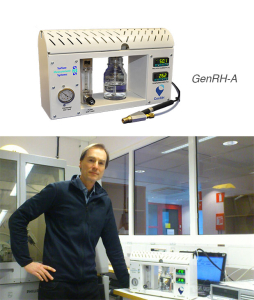 Adroit Science appreciates that the GenRH-A can be used for multiple purposes, since the RH-probe and delivery line can easily be disconnected from the XRPD and attached to other equipment’s or chambers for complementary studies related to powder characterisation and conditioning. Adroit Science AB provides world leading services related to characterisation and understanding of solid or semi-solid pharmaceutical materials. Their services cover all types of products, e.g. inhalation (DPI), tablets, freeze- & spray-dried material and medicated creams. They have for example unique knowledge in detecting and quantifying small contents of amorphicity, including development of methods to restore the crystallinity of partly amorphised powder, e.g. micronised material. But they also perform salt- and polymorph screening, crystallisation of “difficult-to-crystallise” compounds, crystal structure determinations, identification of API polymorph in formulated products, risk assessment and optimisation of formulations & processes as well as providing IP and regulatory CMC support. Adroit Science have a very high satisfaction rating from their customers and are known for delivering a personalised and engaging service.